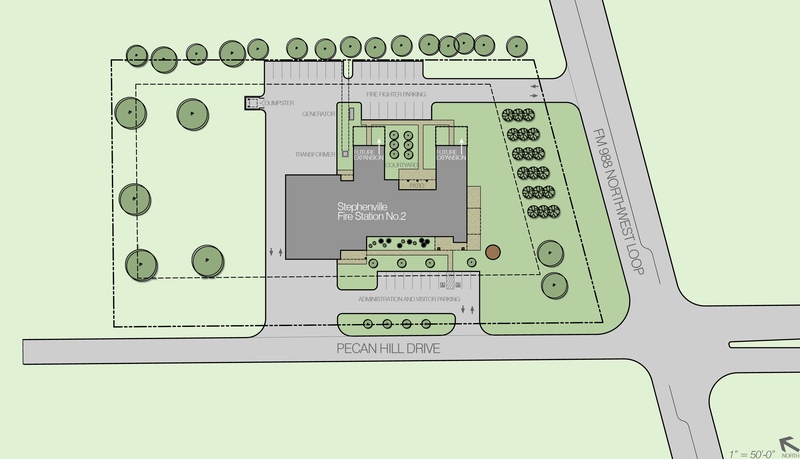 Last month’s Design on Fire discussed some site selection basics to take into account when choosing a location for your new fire station. This month, we drill down a bit into some of the important characteristics to consider before you settle on a site. Once you’ve determined what your new fire station requires in terms of size and meeting neighborhood needs, using the criteria we set out last month, it’s time to focus on available sites in your area and decide whether they offer the appropriate acreage and natural advantages. It may be possible to consolidate several parcels of land into one. Be particularly cautious about buying an abandoned site or land previously used for industrial purposes (such as gas stations or landfills) because these sites have the potential for extra costs associated with pollution mitigation. A good real estate agent can help you determine the history of each potential site. You’ll also want to consider a site with the potential for future expansion. Take a thorough history of your possible sites and be prepared for the unforeseen. The natural attributes of the land can be an asset to your building, but they can also pose problems that could hinder the design or be quite costly to rectify. Consider the topography and how it could impact on your drainage, detention ponds, slope of drives, and retaining walls. Soil can also play a costly role in construction. A soil analysis can tell you much about the foundation type and depth that will be needed, as well as the amount of concrete that will required in the foundation. This analysis can also reveal subsurface water, crevasse, or otherwise unforeseen features. How to maximize natural sunlight while minimizing heat-gain. How to utilize prevailing winds for cross ventilation. How to use native and drought hardy landscaping to conserve water. How to use materials found on or near the site. Natural advantages are FREE advantages, so you’ll want to focus on sites with the most natural advantages. Study the street access of each potential site, including possible entry and exit driveways. The site and surrounding properties can greatly affect the drive layout. Consider, for example, the surrounding traffic flow, medians, and pedestrian paths. A traffic impact analysis can help determine best case resolutions. Consider the route for the apparatus, public vs. private entries, and parking and security. TxDOT or local codes can govern certain aspects of the drives, such as minimum distance between curb cuts and maximum width of driveways. Complete a traffic impact analysis comparative to response time. Study the major streets and access routes for possible impediments or benefits. Make note of the width of the streets. Research the master plan of the area to identify any major future changes. A careful analysis of the natural benefits (and impediments) of your potential sites can both provide free advantages to your future fire station and head off major headaches down the road. 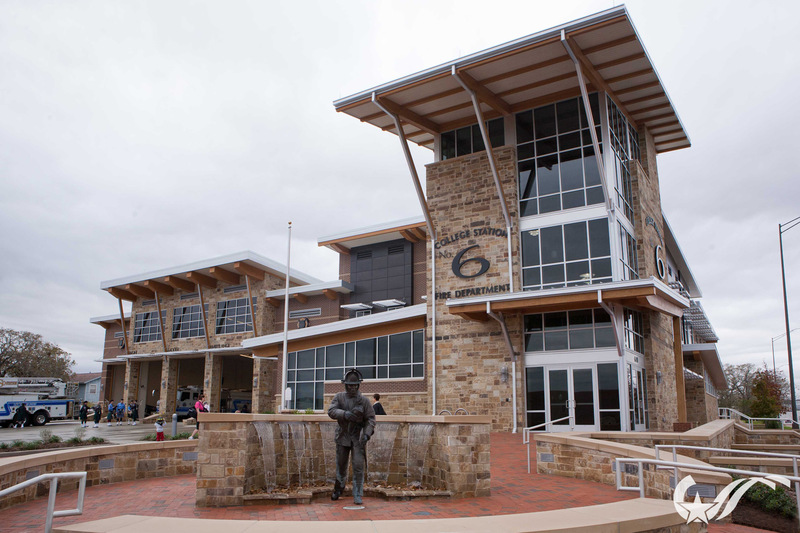 When building a new fire station, the first step is choosing a site. A well-chosen site that provides adequate room, is optimally located, and includes natural environmental advantages can set the stage for success. On the other hand, poor site selection can lead to detrimental and costly negative effects that can hinder the station permanently. This issue of Design on Fire is the first in a three-part series examining the elements of proper site selection. First, establish a pre-site study to ensure that the future fire station does its job, chiefly by improving response time, distance and load. A main indicator of areas that need better coverage is the area’s ISO, or Insurance Services Office, rating. Based on a scale from 1 to 10 (with 1 being the best), the ISO rating takes into account three primary areas: fire department, city water main/hydrant capabilities, and 9-1-1 dispatch. The rating of an area has a direct effect on the insurance premiums that individuals pay on their homes, and it especially affects commercial buildings. Next, review the surroundings of the potential site. 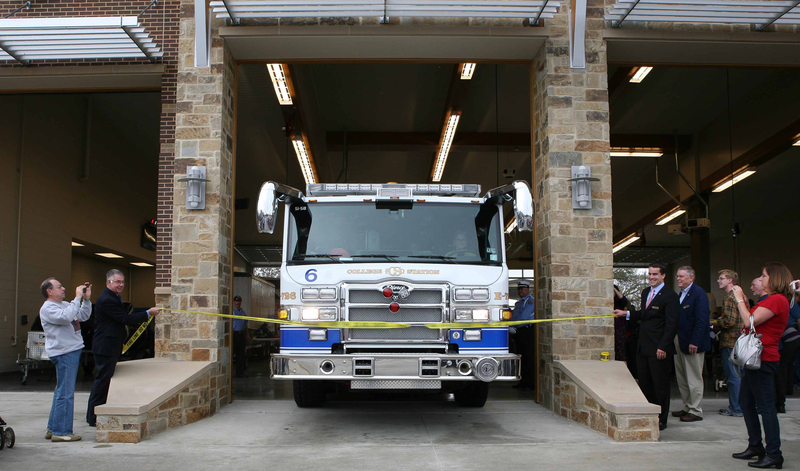 Fire stations are generally much easier to place in commercial areas than in neighborhoods. 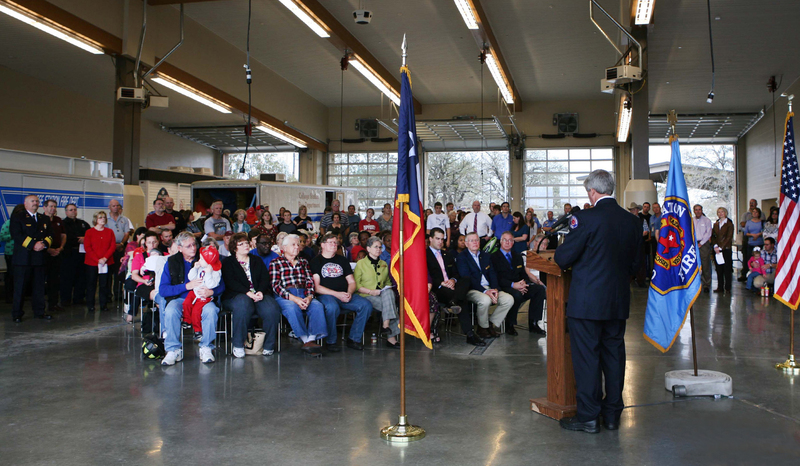 Some neighbors can create resistance because of the “disruptive” nature of a fire station. Be proactive in thinking of solutions to create a visual asset to any setting, especially in residential neighborhoods. Every community has its CAVE (Citizens Against Virtually Everything) people, but be prepared for legitimate concerns about the future fire station’s neighbors. Building a fire station takes a considerable amount of time, effort, patience and, yes, money. Finding the optimum site is a worthwhile investment toward your long-term goal of getting the most fire station for your money.